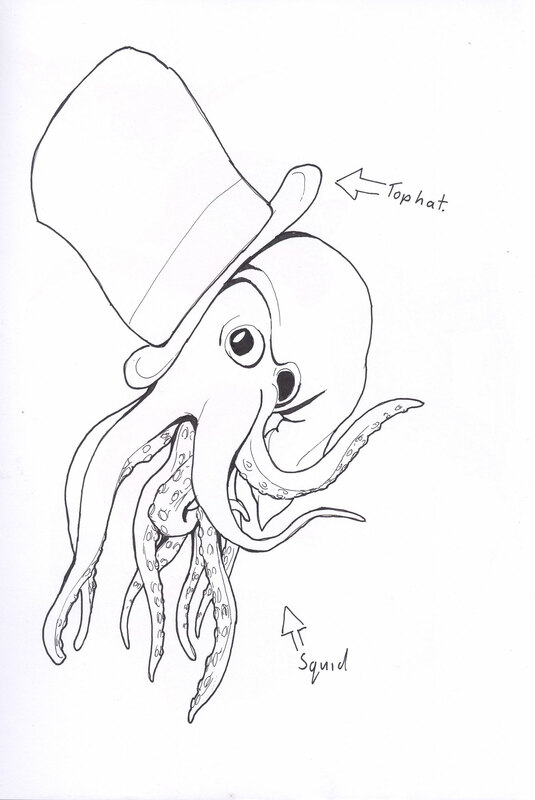 It is a squid in a tophat. Aside from mentioning how cool it looks, nothing more needs to be said. This entry was posted in Scanned Desksketch and tagged squid by Anthony. Bookmark the permalink.